Geek Upd8 Timeline - All the updates or changes that are made to Geek Upd8 network of blogs can be found here. Nov 2012 Geek Upd8 - Law Reporter was added on Wikipedia. We recorded highest traffic today with 13,336 pageviews. We here are making another mark in our timeline, confirming that this Panda have brought us more organic greenery on the Google SERP's. 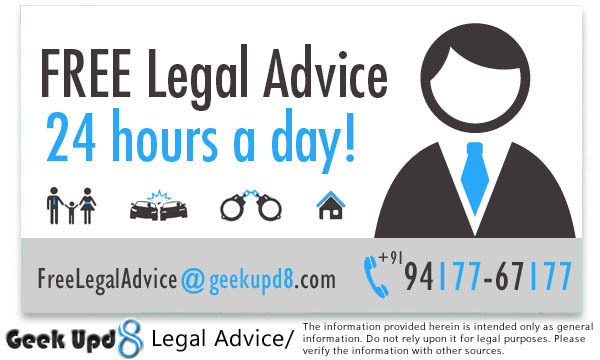 Free Legal Advice program on Geek Upd8. This is our very own timeline (you may call it changelog as well). All the updates or changes that are made to Geek Upd8 network of blogs can be found here. So stay tuned. Geek Upd8 came into existence, with a view to spread the knowledge and do something different that others are not doing. After all being unique is what can get you real success. The Geek Upd8 - Technology blog was added to the Geek Upd8 network of blogs. This addition brought a real big web traffic hike, as this tech blog got popular with short time. Another channel came into existence, called Geek Upd8 - Templates Store, where a large number of blogger templates have been added. This store have got famous for proving premium quality templates for free. Geek Upd8 - Jobs Board was added to the group, proving latest jobs with complete details and procedures, to help you get the jobs. We created a new Facebook page called Advocate, to make our updates public through facebook. And today itself the founder of this site got his license to practice as an Advocate. We added Geek Upd8 - Law Reporter to the G8 Network. This blog aims on providing valuable law related content to readers along with free legal opinion. Link back to the article "The Code of Criminal Procedure, 1973 CrPC (India)" on Geek Upd8 - Law Reporter was added on Wikipedia.Org. Wikipedia is an online encyclopedia, with a PR9. Link from wikipedia is like a treasure for a website. Update: We found more than 5 incoming links from Wikipedia to Geek Upd8 as on January 16' 2013. Internet Archive WayBack Machine crawled the complete site http://geekupd8.com (including all sub-domains). It is worth to be mentioned here that web.archive.org does not crawls all websites. It have criteria's to select high quality websites, that are eligible for getting indexed in their database. Our web traffic reached to a new level in context to our Technology Blog & Law Reporter. We recorded highest traffic today with 13,336 pageviews and 7759 unique visitors. After the News of the rolling out of Google Panda Algorithm (24) has been out on internet, the blogosphere seems to have charged up. News are coming for the rise and declines in the web traffic graphs. We here are making another mark in our timeline, confirming that this Panda have brought us more organic greenery :p on the Google SERP's with a large number of keywords for which our rankings have got even better. We are retiring Geek Upd8 - Template Store. To give our best in Law Reporter, Technology and Job Alerts Channels, We are ending template store. The templates available on the site will remain accessible, however no more new templates would be added. We hope you will keep enjoying our updates from other channels. We are very excited to add to our timeline that our three faceook pages, dedicated to Geek Upd8 - Law Reporter have crossed 1,00,000 followers on facebook collectively. The founder started this journey from his room by registering geekupd8.com on November 8, 2011. With the passage of time and your continuous support, now a whole team is working behind GeekUpd8 to provide you latest updates on law, technology and jobs. 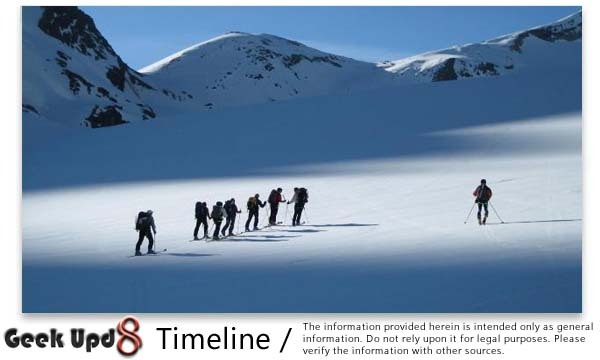 By creating a bookmark for http://g8.geekupd8.com/timeline.